membership by paying the annual membership dues. member's representative will serve on the Executive Committee without having voting rights. membership by paying lifetime membership dues. Organization Membership (DDS, DC, DPM ...) - $100.00 (USD) Subscription period: 1 year, on: January 1st No automatically recurring payments Annual Membership. Members of Indian origin of allied medical specialty organizations (e.g. dental, chiropractic, podiatry) can become organization members of IAMA. The membership dues will be paid by the parent organization for their total membership. Membership dues will be determined by the Executive committee. The membership dues for the organizational members will be similar to the annual members. Resident - Free Subscription period: 1 year, on: January 1st No automatically recurring payments Annual Membership for those completing their Residency in Illinois. 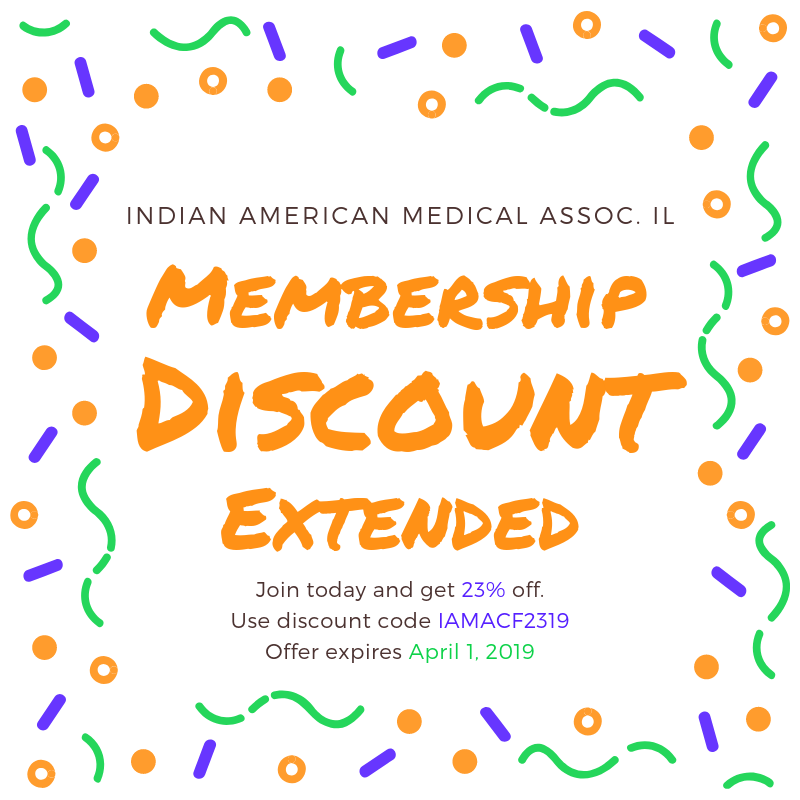 Student - Free Subscription period: 1 year, on: January 1st No automatically recurring payments Annual Membership for Medical Students in Illinois. members without paying membership dues. Young Physican within 5 years of Training Completion - Free Subscription period: 1 year, on: January 1st No automatically recurring payments Annual Membership for Young Physican within 5 years of Training Completion.